Do you sometimes think that you are the only one on the planet who feels uncomfortable around others? Do you worry about looking awkward on the outside because you feel so awkward on the inside? Do you have performance anxiety during certain activities that are supposed to be fun and enjoyable? So, you’re absolutely not the only person who feels awkward and out of sorts. In fact, you are not even the only species who feels this way! That’s right — anxiety is not just your condition, not just a human condition…it is a condition that stretches far and wide across boundaries and labels of all kinds. That’s right! These impressive animals, widely recognized as the fastest beings on land, are actually Nervous Nellys! They are naturally socially awkward, shy and nervous. It’s hard to believe, right? When I look at a cheetah, the first thoughts that come to my mind are – FAST! CARNIVORE. Don’t get too close to one! Impressive. Spots. And… Don’t get too close to one! This is one reason why their numbers are dwindling. Smart zookeepers have found a way to help with this – by pairing cheetahs in captivity with emotional support dogs. This is great news! Right? Nelly: er….how is a nervous cheetah great news? What in the world does that have to do with me? You’re not the only one! Although we’re not really supposed to compare ourselves to others and all that, sometimes its just comforting to know that, hey, there are others out there, dealing with the same difficulties that I am. 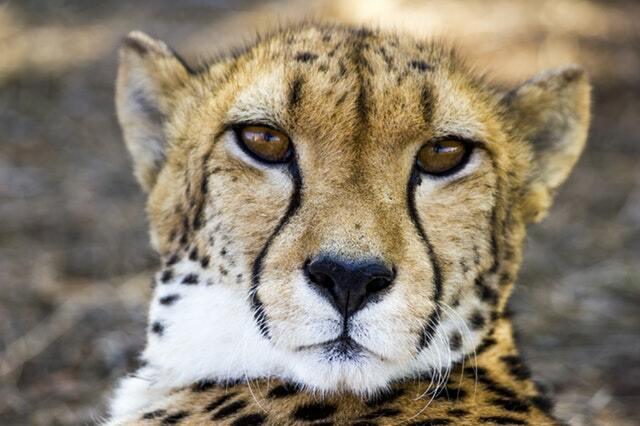 Cheetahs are highly respected and highly impressive beings…that also happen to be nervous. When you think of a cheetah, is anxiety the first thing that comes to your mind? Hell no! You probably think something like, fast, or dangerous, or beautiful. Anxiety is just one part of who they are – same with you! So stop worrying that anxiety is the first and only thing people see when they interact with you…You have a million other wonderful qualities that come shining through without you even trying. It’s not the Cheetah’s fault. Animals act purely on instinct. They didn’t intentionally or unintentionally develop a nervous habit. These animals were born nervous. It’s a part of who they are. Your nervous tendencies may be inherited or learned, but either way, they are not ‘your fault’ and are nothing to be ashamed of. Be proud of all of your spots! So, my friends…take comfort in knowing that you are not alone in this world. And please do not focus on your anxiety as the only thing that defines you. Instead, be FAST. Be Fierce. Be Beautiful. And go ahead and be Nervous.